Talon Filtered Cigars are the perfect stogies for those of you who like to take little breaks from your busy schedules. These stress buster cigars are enjoyed by all because of their flavor and creamy smoke. Being a product of Lane Limited, these are available in delightful Vanilla, Grape and Sweet original flavors. Good things come in small packages and this is precisely the case when it comes to Talon cigars. Only the finest quality tobacco and natural leaf wrappers are used in crafting Talon cigars. A rich, smooth smoke mixed with delectable flavors is what you get when you purchase these machine-made classics. Each pack contains 20 cigars and the affordable pricing makes it convenient for people to buy them. For every occasion, having a Talon cigar makes all the difference. Buy this cigar not only to smoke but also to experience the intricate blend of flavor and tobacco infused into each drag. This is precisely the feeling you’ll get when you smoke a Talon cigar. The filtered version of this line of cigars provides a consistent flow of smoke right from the first till the very last puff. 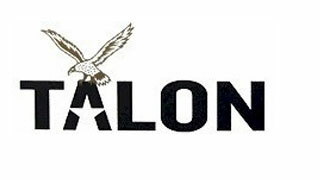 Talon cigars have created a great reputation for themselves in the cigar community and offer a lot of variety to smokers in terms of flavor and size. Being reasonably priced is one of their many benefits and makes them perfect for even newbie smokers. Origin: Machine-Made in Tucker, GA.